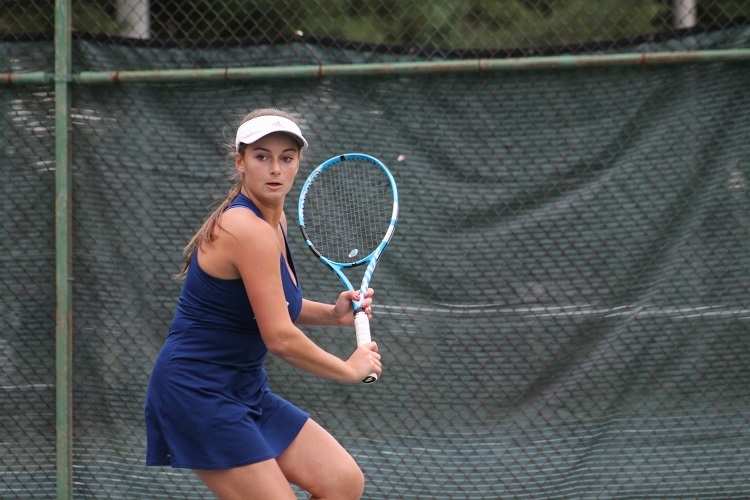 The Nassau County Championship began with seven flights of tennis but would eventually boil down to just one. 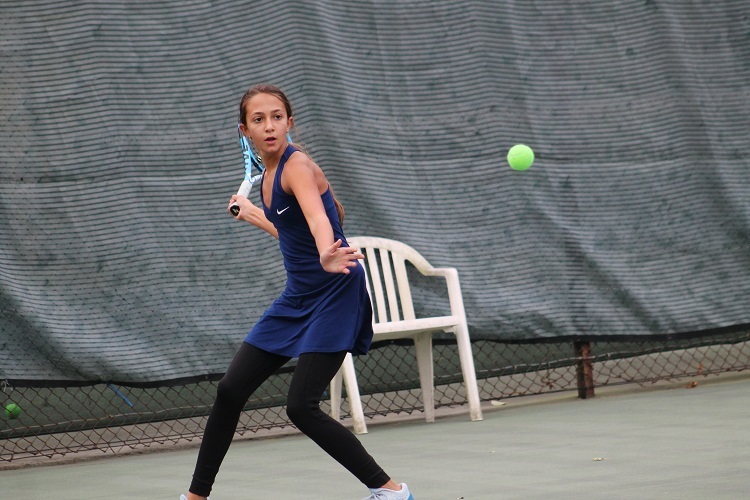 With the Syosset Braves and Hewlett Bulldogs splitting the first six matches at Eisenhower Park on Monday, the county champion would be determined by the only match left to finish: third singles. Syosset’s Sarah Wong had taken the first set against Nyla Gershfeld 6-1 but as the crowd of spectators surrounding their match grew, Gershfeld fought back. She forced the second set into a tiebreaker. Much like the end of the second set, the tiebreaker would play host to incredibly long rallies upwards of 40, and sometimes even 50, shots. Wong would prove to be just a little better in that breaker, outlasting Gershfeld 10-8 to clinch the 6-3, 7-6(8) match and seal Syosset’s county championship. 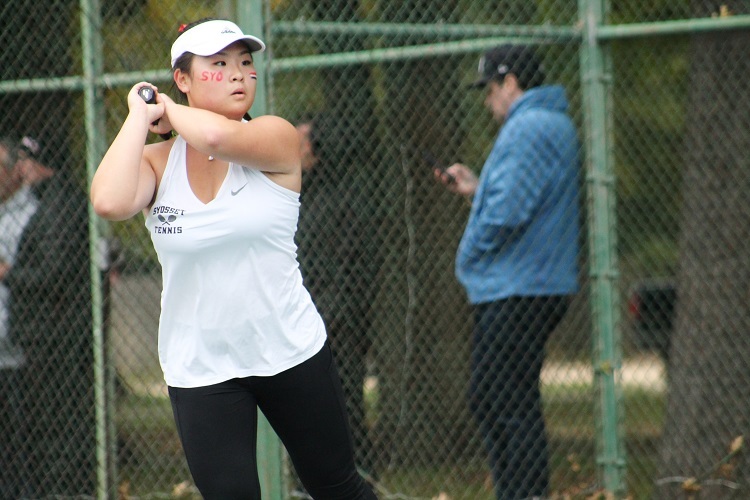 Wong’s entered Monday’s match with an undefeated record in the third singles spot, and got her strongest test yet from Gershfeld. 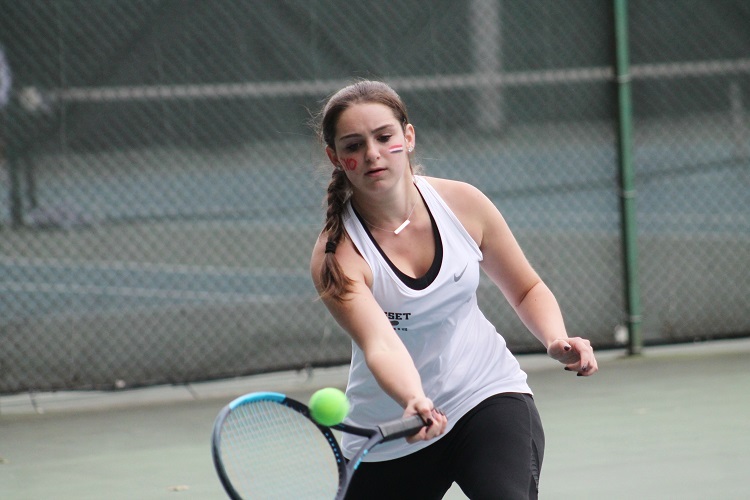 Hewlett raced out to the early lead on Monday as it got wins from Rachel Arbitman and Gabriela Sciarrotta at first and second singles, respectively. 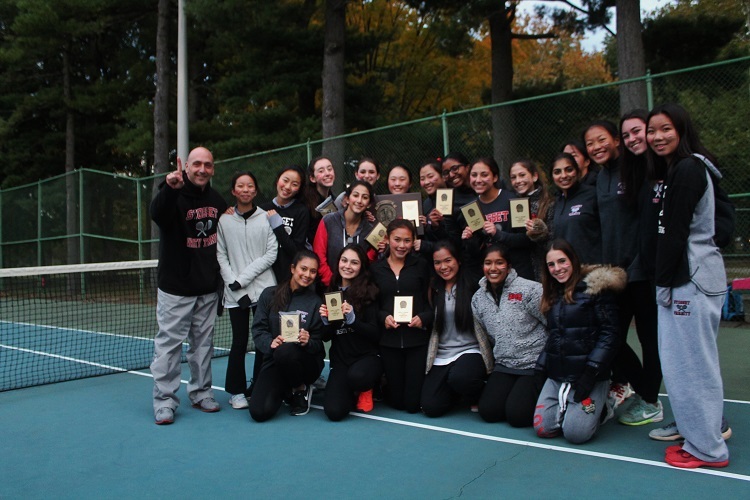 But Syosset responded as Ruth Abraham and Sarah Schwartz won at third doubles, and Jenna Koeppel and Sanya Jolly won at fourth doubles. 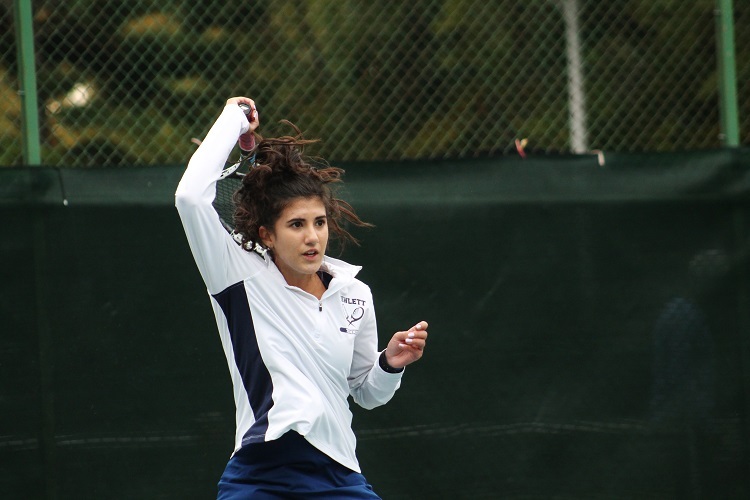 Nicole Pinkus and Nila Katsman nailed down a win at second doubles to put Hewlett back into the lead, and soon after Stephanie Wiener and Alexa Brecher took the first doubles point to level the overall match at 3-3, setting up the thrilling finish between Wong and Gershfeld. Syosset advances to the Long Island Championship, which is tentatively scheduled for Thursday, October 25.